Sihem Ben Saad received the "Presidential Award in Mathematics" from the President of her country of origin, Tunisia, proceeding to graduate with a Ph.D. in Electrical Engineering from the University of California, Los Angeles, where she devised new algorithms for solving complex non-linear non-convex optimization problems, with applications ranging from financial modeling to telecommunications networks. She was recognized by the American Statistical Association and was awarded the best publication of the year in Applied Statistics. She has received numerous awards, from deploying the first data-services-customer on AT&T's Global Network, to Merger-and-Integration Leadership through the AT&T/SBC historic merger. Sihem was nominated for the prestigious "AT&T Catherine B. Cleary" for AT&T Women that demonstrate sustained leadership and contributions to the Business. Throughout her career with AT&T, she has worked in AT&T's Bell Laboratories, Network Planning and Engineering, a Global Venture with British Telecom, and in Finance, leading significant technology and business initiatives. 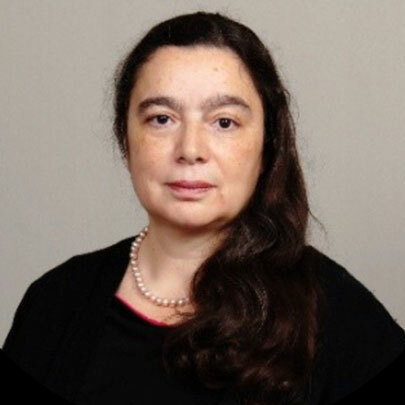 She has held positions as diverse as leadership of the Asia-Pacific network engineering for AT&T, Global operations automation, and software statistical modeling and simulation of real-time-transaction-networks. Sihem is married to Wendell Miyaji; they have a daughter, Amira, and reside in Chester, New Jersey.